Please attend the only Public Hearing in NY on this project, Tuesday, July 09, 2013 at the Allegria Hotel, 80 West Broadway, Long Beach, NY 11561 4:30 PM to 8PM. Come to our 3rd Floor conference room first before entering the hearing. Get there when you can. Liquid Natural Gas, LNG, facilities are threatening the New York coast again. The Port Ambrose facility is the same project vetoed by Governor Christie in 2011, but with a new name and logo and closer to New York this time, 17 miles south of Jones Beach, NY. 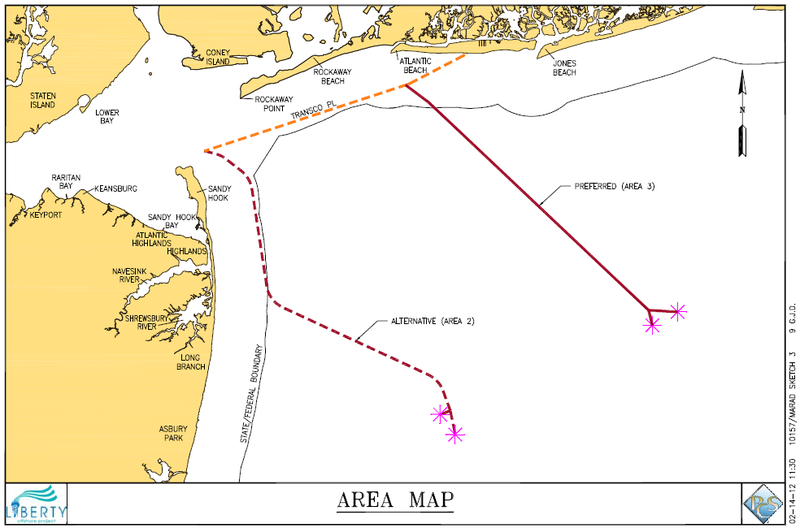 The pipeline from this facilitiy would require 20 miles of the seafloor to be dredged and dug up to connect to an existing pipline 2.5 miles off of Atlantic Beach, NY. We don’t need to increase our ability to burn more fossil fuel at this time. Foreign imported LNG has a larger carbon footprint than domestic natural gas due to the cooling, transportation and re-gasification required. This LNG port could also be used to export domestic natural gas produced by “fracking” thereby increasing fracking upstate. Fishing, diving and boating would be impacted as the seafloor is torn up for the pipeline. The project would also be in an prime wind energy generation area creating further conflicts. 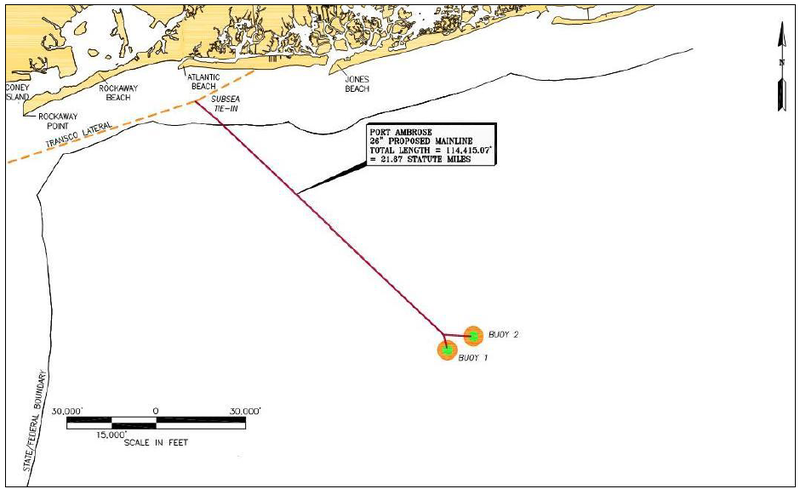 Here’s the withdrawn (because of reaffirmed veto) location map and the location map of Port Ambrose – evidence that this is the same location (but new name) as the port kicked out by Christie.